Have you ever wondered how teams got names like “White Sox” and "Red Sox" if the socks aren’t even visible today? If you are a baseball fan you might have heard last year that the Major League Baseball has its own custom logo socks provider. During this time the baseball teams used to wear long wool trousers that completely cover their socks. The first knickers were introduced by the Cincinnati Club team that showed the red socks of the players. It became so famous that the team changed their name to Cincinnati Red Stockings. The knicker look became popular with the most successful teams. Colorfast dyes were not invented during this time and they had started resulting in infections and poisoning because of the wounds that the players had. The only solution at that point was to wear white under socks that were known as sanitary socks. During this time, players started pulling their stirrups higher that made the sanitary socks so visible that their ratio with colored socks was even. People started cutting the bottom of the stirrups and started sewing the fabric in. This caused an imbalance in the color-to-white ratio and caused the white to become more prominent. Several custom logo socks were made during this era. Manufacturers responded to the demand and offered stirrups that had large openings that lead to the development of the ribbon stirrup, which was a solid color sock with contrasting strip of fabric down the side. The Ribbon Stirrups is still in high demand today. Coach Bill Wilhelm made all his players wear long pants that hid the socks. The style was known as "Clemson Cut" and was not noticed by fans or by many involved with baseball. The socks changed from mostly colored to mostly white, so the players decided that moving their pants up was no longer needed. Trendsetters Ron Darling (Mets pitcher) and George Hendrick (Cardinals outfielder) were high profile players that implemented this style. Long pants became the fashion as well as the rule except for the players that wanted to stand out and be unique. Knickers have made a tremendous comeback for the Major leagues all the way down to Little leagues you can see players embracing what is considered the true look of baseball. We have made it our mission to help outfit teams for the look they want to achieve. We offer the highest quality sock on the market that will last your team for years. Let us know how we can help your team. Want to get your own custom logo socks? Why not get in touch with the best custom sock shop by clicking here. Do you want to promote your company effectively? Do you want to create brand awareness? Most probably, you have tried several different techniques to create brand awareness and market your company, but have you tried using custom socks as a marketing technique? Does Your Company Have a Sports Team? 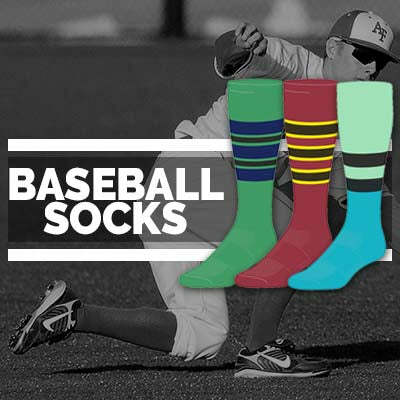 Companies that have a baseball team or companies that endorse local baseball and softball teams in their area can create brand awareness by designing socks. If they are using our custom sock shop to create custom sports socks for their own company sports team, they can add company colors and company logo to the socks. If they are endorsing a local sports team, they can add the team’s colors and their own company logo to the socks. When they or the players of the local sports team play, their logo will be on full display, thus creating increased visibility for their company. If you are sponsoring an event, ask the organizers and the participants to wear your branded socks. Does Your Company Deal with Several Corporate Clients? 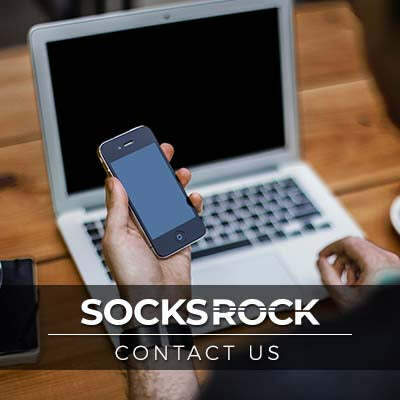 Companies that sell their services to other businesses or make major deals with corporate businesses can further their relationship with them by giving them a custom socks corporate gift. Your clients may wear your socks out of courtesy at least once. If they are a high-profile client, you can expect to receive a lot of publicity and coverage. Do You Want to Create Loyalty Amongst Employees? You want your employees to be loyal to your company. One effective way to create loyalty amongst employees is to present with custom logo socks. You employees will be likely to show off their brand new custom logo socks they received from their company. A good time to present them customized socks is during winter when the need to cover one’s feet are great. In fact, you can make gifting customized socks a tradition or come Christmas time, you can give them a custom sock with logo as a stocking, which they can hang up on the fireplace in their home. Do You Want to Hand Out Gifts to Customers? You can hand out gifts to customers. You can wrap a pair of beautiful and colorful socks to your customers. Your customers will like their high quality and branded socks and will be more likely to wear them when out and about. When customers come to your store to buy something, you can put a pair of free branded socks with your company’s logo and colors in their bag. You can set up a promotional offer where you give out branded socks to each customer that walks into your store. Even if a customer has no intention to buy anything from your store, they may still come in to get a free pair of branded socks. You can even combine socks with chocolates. You can put chocolates inside the socks. Do You Want to Customize Your Own Socks? If you are the owner of the company, you can customize your own socks. When you customize your own socks, you create brand awareness. You can wear the socks to events hosted by your company. If you are invited to an event where you know several prospective clients will attend and cameras will be there, wear your branded socks to promote your company and create brand awareness. You can even get a pair of customized socks for your friends and family to wear. Your aim is to create brand awareness and customized socks is a wonderful way to catch people’s attention. When you are customizing socks, you have the option to choose from a variety of different cuts, styles, and sizes.